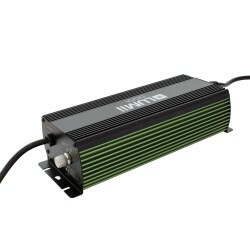 The LUMii BLACK Metal Magnetic Ballast is a 600w metal-cased magnetic ballast, supplied with a flyin..
Made by Lumii the 600w Electronic Ballast is supplied as a stand-alone ballast with a flyi.. The LUMii DIGITA ECO Ballast is a fully electronic ballast. This technology is micro-proce..
We are constantly trying to improve our LUMii ballast range, and our latest addition is the robust m..